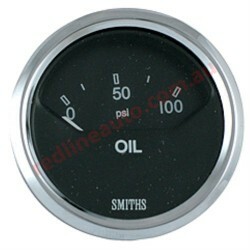 Smiths gauges are the original choice by AC and Carol Shelby for the iconic Cobra sports cars. Now you can equip your own Cobra with the same instruments as used in the original. For People seeking the ultimate in authenticity the speedo is also available in reverse wind (counter clockwise) operation as fitted to the original Cobra. Electric gauges are also available as an alternative to the original mechanical gauges. Smiths Cobra range, the only choice for Cobra builders. For generations, Smiths gauges have set the standard in quality instruments and gauges for classic cars. Stating with the original Smiths tooling, Smiths employs only the finest materials and craftsmanship for each and everyone of their instruments which means, not only are you assured of owning the original but undoubtedly the best, so why settle for anything less. Smiths instruments are manufactured in the UK by Caerbont Automotive instruments and are also supplied into their chosen market segments in UK, Europe and North America.